Many students at Douglas County High School find themselves in need of food either at school or over a weekend or holiday break. 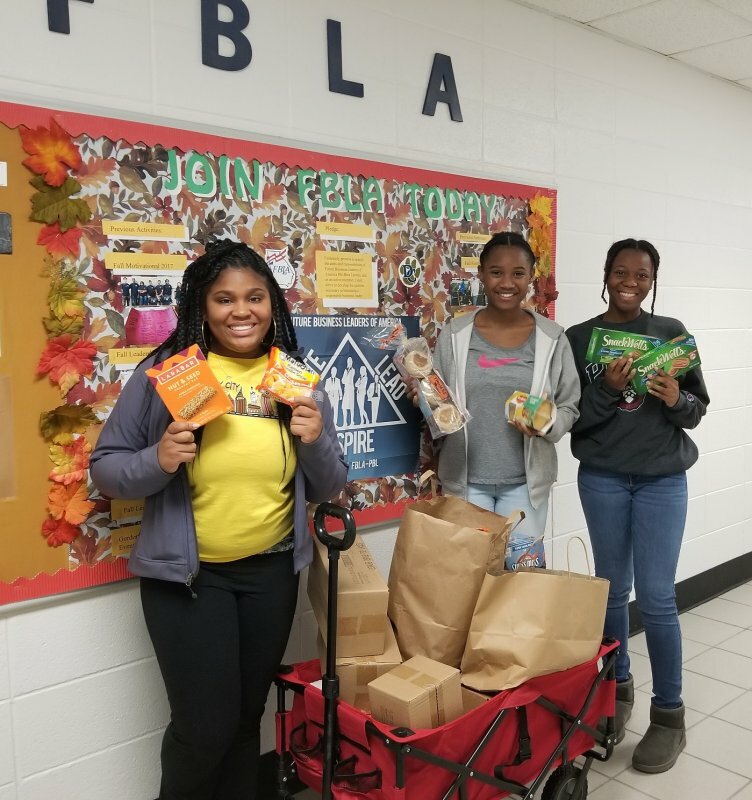 DCHS FBLA Officers of the chapter proposed collecting food to replenish the school’s pantry so that when students returned from the Christmas break there would not be a shortage. The coordinator of the pantry had shared with our members that often the pantry is depleted right before a long break. Members collected a wagon full of easy to prepare items that students can get in the pantry and carry home with them or have at school.